Although there are very few services or programs designed specifically to support children with a parent incarcerated and their families, there are some. There are also other programs and services that may be helpful for families with a loved one incarcerated even though they were not designed specifically with them in mind. Click on the map below to find available services and programs in your area. Select the county you live in so you may see a list of programs that serve your area! We are currently unaware of any programs or services for this area. If you know of helpful services or programs that are not listed, please let us know by e-mailing us at CTCIP@ccsu.edu. A collaboration with the Judy Dworin Performance Project that uses art interventions to assist children to express their feelings about having a parent in prison, develop positive self-esteem and form close partnerships with other children experiencing the same struggles. Having a mom or dad in prison can make growing up more difficult. Children with an incarcerated parent often need additional support and guidance. Big Brothers Big Sisters Amachi program helps broaden their perspectives on what they can achieve in life. Amachi, a Nigerian word of hope from the Ibo people, means "who knows but what God has brought us through this child." Our Amachi Program connects children with role models from all walks of life, but particularly those from local religious organizations. Houses of worship and their members are able to provide a safe, stable environment for children to develop into responsible young men and women. The Bridging Boundaries Arts Intervention Program uses arts intervention coupled with social work, to bridge the forced separations of populations affected by incarceration. This program has been in operation since 2005 and has grown to include performance residencies for women at York Correctional Institution; outreaches to York Moms and their children; and youth throughout the Greater Hartford region who have parents in prison. The Champions Program is committed to enhancing the resiliency of children and youth (ages 6-17) through caring relationships and supportive interactions. Children served are those who are impacted by the incarceration of a parent or close family member. In addition, youth who are system involved through Juvenile Probation are also eligible to receive mentoring services. School based and/or community based mentoring is provided where volunteers engage in weekly one-to-one mentoring to provide a supportive relationship which helps to offer these vulnerable children and youth with positive role modeling and assists in facilitating positive youth development. CLICC is a literacy and mentoring program for incarcerated parents and their children in the lower Fairfield County area. We are a nonprofit pilot program, working with substantial support from the U.S. Department of Justice. 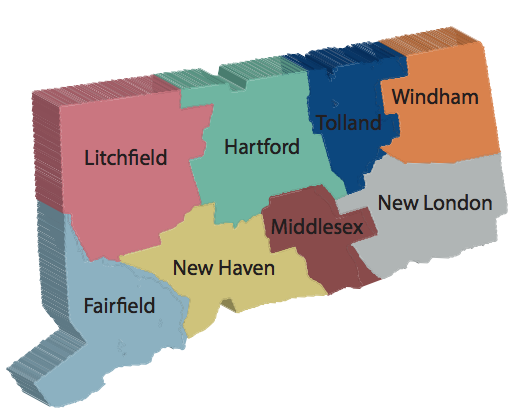 CLICC meets once a week with parents in four Connecticut state prisons (York, Niantic Annex, Cybulski Community Reintegration Unit and Enfield) and also with their children in the Stamford-Greenwich-Norwalk areas. We use reading and literacy to bring incarcerated parents and their children together, believing that, the stronger the bond between them, the less likely the parent will re-offend following release and be returned to prison. BIMEC is a after-school literature, Middle School Reading for Reasoning Program for Children of Incarcerated Parents, offers 11-15 year olds living in or near the Newhallville section of New Haven an intense program that weaves reading, writing, problem-solving, self-awareness, empowerment, the Seven Principles of Kwanzaa, art, and community engagement.